An opportunity to acquire a second floor apartment forming part of this period property. Situated in a superb position on the Seafront, within easy reach of Seaford Town, shops, bus routes and railway station with links to Eastbourne, Brighton and London. 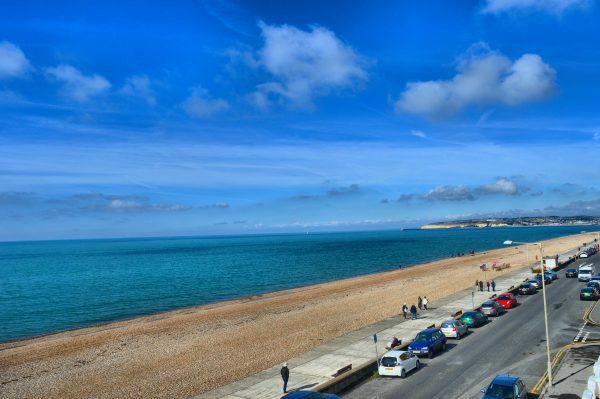 Panoramic views from Seaford Head along the seafront to Newhaven Town and Harbour are enjoyed from this apartment and balcony, making it a great holiday home for escapes to the seaside. It would also be of interest to first time buyers or for investment purposes. The accommodation consists of two bedrooms, kitchen, sitting/dining room, bathroom and separate W.C.
Further benefits include garage, gas central heating and majority uPVC double glazed windows. Viewing is highly recommended to appreciate this delightful flat with its wonderful views. Property being sold with immediate vacant possession and no onward chain.